The word yoga in Sanskrit means "to join" or "to yoke." That is the simple definition, but the meaning of yoga is so much more. What makes yoga different from other movement is the connection to breath. Focusing on the breath as the body flows through poses creates the opportunity to observe yourself in the moment. In this manner, you can take time to notice how you feel - the sensations and emotions. This is where that simple definition becomes a bit more profound: yoga expands here to “join” or “unite” the body, the mind, and the spirit. But it is even more than that, because yoga is an experience. It is unique to each individual. Yoga is an opportunity to connect with inner silence and peace; it is the practice of surrendering, releasing expectations and judgments; it relieves stress and gives you control in a time when you may feel you have none; it can be calming, energizing, or uplifting; it is about honoring your body as it is right now; it is a place where you always belong; it is about spending time with you. 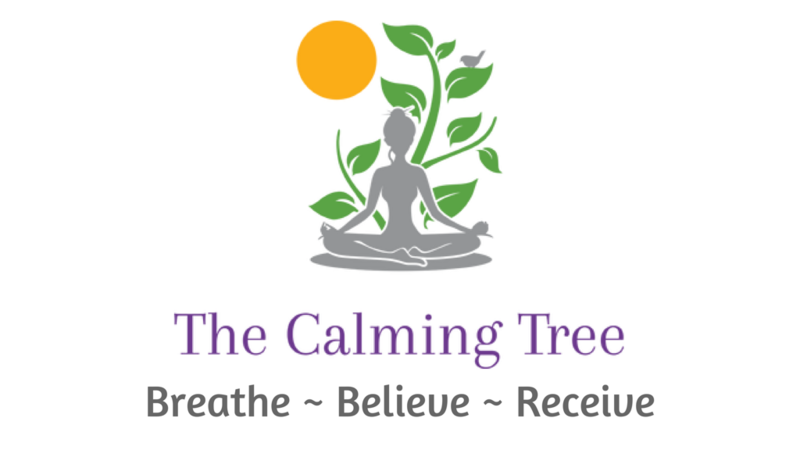 At The Calming Tree, it is our sincere intention to bring yoga to EVERY body, regardless of ability, body size, age, gender expression, sexual orientation, religious or political views, or any other category that is used so often to group people. We yearn to be your shady calm spot in the storm of life. Here, we celebrate you as you are! ​Come find out what yoga means to you. We're here to walk the path with you. When the breath is calmed, the mind too will be still, and peace is yours. Move your life toward fulfillment, success, wellbeing, and happiness...one conversation at a time.